Nationally Recognized for Driver Helpful, Motor Carrier Trusted DOT Physical Exams! What is a Driver Helpful, Motor Carrier Trusted DOT Physical? Helping drivers and motor carriers is what we do. Drivers with certain medical conditions need a medical examiner who not only knows the medical requirements, but who is interested in helping the driver maintain their livelihood. At the same time, our driving certifications provide the safety aspects that motor carriers expect and need. Pass Your DOT Physical Exam! Dr. Craig Brummert knows how important it is that you continue your livelihood as a commercial driver. With their extensive knowledge of the DOT Physical Exam medical guidelines, Dr. Craig Brummert will steer you through the DOT Physical Exam requirements so you can Keep on Truckin’. Founded in January of 2014, Brummert Family Chiropractic offers an evidence based approach to chiropractic care. Put simply, we subscribe to a scientific model of treatment and will never over-recommend treatment or claim to help you for symptoms that aren’t supported by research. You should call our office if you are suffering from neck pain, back pain, or headaches. Looking for a DOT Physical Exam or CDL Physical Exam in State College, Pennsylvania? You’ve come to the right place! Enterprise Drive is in Cato Park in the 16801 zip code of State College. You can find our office by turning onto Bristol Ave either from West College Ave or Blue Course Drive. Once on Bristol Ave, Enterprise Drive is located between Research Drive and West College Avenue (AKA Route 26). Our office is located in the Todd Giddings building and you will see his name on the sign out front. If you have any problems finding the office on the day of your appointment, call us at 814-777-1558. 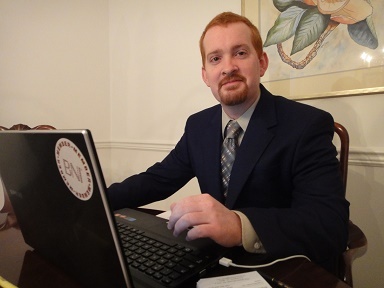 Dr. Craig Brummert is a 2009 graduate of New York Chiropractic College. His family has roots in Central Pennsylvania, and he attended Penn State before enrolling in chiropractic college. Dr. Brummert took his first job as a chiropractor in the remote town of Nome, Alaska. After a couple years of the cold and dark, he returned to the Northeast and worked in multiple clinic settings in Upstate New York before returning to the State College area in 2013. In January of 2014 he founded Brummert Family Chiropractic in Port Matilda. Shortly after its founding, Dr. Brummert moved the business into a State College zip code to reach more people with his evidence based approach to chiropractic care. We look forward to helping you and your family members find relief from neck pain, back pain, and headaches. We are very excited to announce that we are now also available for CDL medical exams.